Manhattan Prep LSAT Review: Is Manhattan Prep the Course for You? Manhattan Prep is by far one of the best LSAT prep companies out there. To help you determine if Manhattan Prep is the course for you, I’ll discuss its history, pros and cons, course packages, rating, and ideal candidates. Manhattan Prep was founded by Zeke Vanderhoek, a Yale graduate who believed in the power of effective teachers. The company offers services for multiple college entrance exams and graduate level standardized tests. All instructors at Manhattan Prep scored in the 99th percentile in the subject of their course. Manhattan Prep’s LSAT prep, overall, is of unparalleled quality. 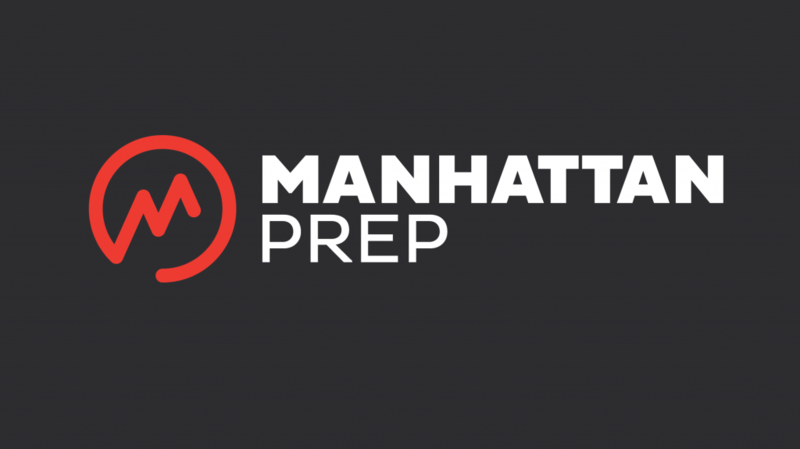 If you were to combine the best qualities of competing LSAT prep companies, Manhattan Prep is what you would get. Their self-paced online course is affordable and effective. It also provides enough materials for you to properly supplement your studies if need be. Their online and in-person live courses are taught by high-level instructors who teach using top-quality materials and proven methods. Their one-on-one tutoring is expensive, like many other companies, but will surely get the lucky few who can afford it the score that they dreamed of. Manhattan Prep even offers their LSAT Crunch-Time package for students looking for a last minute boost in their score. Basically, Manhattan Prep has an effective program for all types of students and for all types of budgets. Manhattan Prep’s online LSAT course teaches students about the test from the perspective of the test writers. It explains each section, what each of these sections tests, and the differences in approach between average test takers and people who score at an elite level. To do this, the course uses interactive online videos delivered by an effective and clear instructor. For reading comprehension, the Manhattan Prep emphasis is put on the “why” behind each passage. This is an effective strategy for isolating argument positions as well as the author’s motivations. I endorse and support this tactic. In Logic Games, Manhattan Prep clearly distinguishes the different types of games, and give you effective methods for diagramming each game. It’s nothing revolutionary, it’s actually just the same diagramming that most top test prep companies use- but it works. And for the questions, Manhattan Prep teaches, again, effective methods that have proven results. And finally, Manhattan’s logical reasoning approach merges both formal logic and intuitive reasoning methods. This allows the curriculum to help student’s, no matter their natural logical ability. The lessons are easy to follow and adequately prepare students for this section. Manhattan Prep offers a variety of different packages that cater to the different needs of students, as well as different budgets. The self-paced online Interact Course is affordable compared to equivalent online products such as 7sage while providing similar quality materials. Also, the online or in person Live Course, compared to competitors like TestMasters, is affordable, while providing an equal or better product. One differentiating product Manhattan Prep offers is their LSAT Crunch Time, which is a brief course “tips and tricks” type of study tool that is good for last minute improvements. For me, what sets Manhattan Prep apart from other LSAT prep courses is the quality of their instructors. To be considered to teach the LSAT for Manhattan prep, you must have scored a 173 or above (the 99th percentile) on an official LSAT. This level of instructor is compared to TestMasters’ strict 98th percentile official score requirement for instructors, and Kaplan’s loose 90th percentile unofficial score requirement. For live instructions and especially one-on-one tutoring, having such a qualified instructor is a huge advantage. For the majority of Manhattan Prep’s LSAT packages, you will be given their 3 LSAT prep textbooks, 20 recent LSAT exams, and access to all released LSAT exams. If you’ve heard me say this before, I apologize, but I can’t overstate this point: using REAL LSAT questions and tests is the most important part of your studies. Manhattan checks this box and goes above and beyond by providing access to more material than most people will use. Not only does Manhattan Prep provide the right amount and kinds of materials, but the strategies and methods they teach are also proven and effective. You won’t be taught gimmicks or quick tips but a demonstrably supported method for approaching the LSAT. Bottom line: it works. Similar to other large LSAT Prep companies, there is a chance that you will be paired with an inadequate instructor or an instructor that you simply don’t get along with. While this risk is minimized by Manhattan’s highly selective hiring process, it can also be remedied by contacting corporate if you run into an issue or by enrolling into the online course instead. The only other problem with Manhattan Prep is that their live classes aren’t available everywhere, and only tend to be held in bigger cities. So, if you want to be in a classroom with your instructor, that may not be an option in your area. Having used this course, I give it a rating of 5 out of 5 stars. So, who should use Manhattan Prep? The only people I would recommend to avoid Manhattan Prep are students who either scored 165 or above on their cold diagnostic. If you’re scoring at that level, I recommend you first try self-studying to further improve your score and only resort to paying for instructions if you’re unsatisfied with your results. Manhattan Prep will be an effective and worthwhile investment for anyone trying to improve his or her LSAT score who is not already scoring at a high level. If you’re a student who wants a self-paced study plan, the Manhattan Prep Interact Course will give you everything you need. If you want the structure of a traditional class, the Live Course will satisfy you. Manhattan Prep is a top-notch LSAT prep company.